This recently renovated apartment is located in the central Poble Sec neighbourhood of Barcelona. Situated at the bottom of Montjuïc hill, this area is home to some of the best bars, restaurants and cafés in the city. The centre of Barcelona is reachable in just minutes using public transport or is just a short walk way on foot. Just around the corner from this apartment you will find Paral•lel metro station. The apartment itself can sleep up to 6 guests with 3 bedrooms and 1 bathroom. The apartment is bright and tastefully decorated throughout, ensuring you feel completely at home. 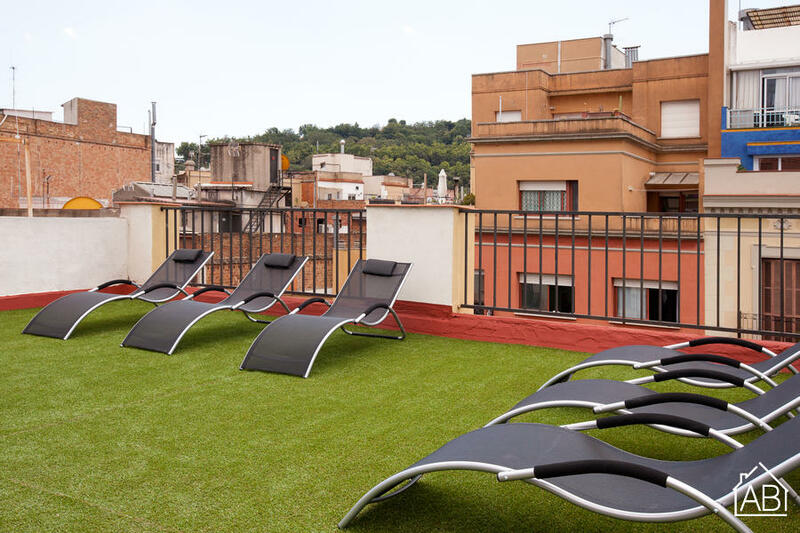 There is even a communal terrace, with sun loungers, to be enjoyed during the warmer months. The kitchen is fully equipped and includes a microwave, kettle, a coffee maker and a toaster. There is even a dishwasher and a washing machine for added convenience. Complete with an Internet connection and air conditioning, this is the perfect Barcelona home-away-from-home.